A week ago, I reported that Dan Adams, Boss Abele's hand-picked candidate for Assembly District 19 had given up on trying to win the election and took on a spoiler role. To help him do that, Boss Abele and his friends in the Greater Milwaukee Committee had their badly misnamed front group, Forward Milwaukee County, send out an amateurish flier attacking both Marina Dimitrijevic and Jonathan Brostoff. and Brostoff as two thirds of the "see no evil, hear no evil, speak no evil" monkeys. It was enough to finally get the attention of the local corporate media, who did their usual spin of false equivalency to minimize the way these stunts make Abele and Adams come off as the buffoons they really are. The Milwaukee Police Association, a labor group, endorsed Adams, who has spoken out against unions. 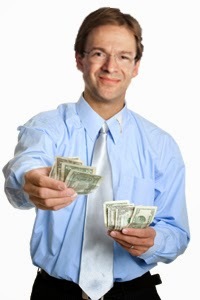 Abele endorsed him and gave him $500, the maximum you can give to an Assembly candidate. "Time after time, Big Labor creates their own circular firing squad," Adams said. "With these large shadow money expenditures for Geenen and Dimitrijevic, the union bosses are showing their feeling of entitlement to purchasing the 19th District." Again, I must point out that Abele has done much more than given Adams $500. Boss Abele has held at least four fundraisers for Adams. Boss Abele has also shared office space and staff. If there is a candidate that is being propped up by special interests looking to buy this election, that person would be Adams. Heck, Adams has even told people that Abele wanted him to run for the sole purpose of expanding his "sphere of influence." What is as equally eye-popping is just how out of touch the Abele/Adams campaign is with that district. AD 19 is one of the most progressive districts in the state. They are not going to support a candidate that is nothing more than a moderate Republican working at the whim of a power-hungry plutocrat.